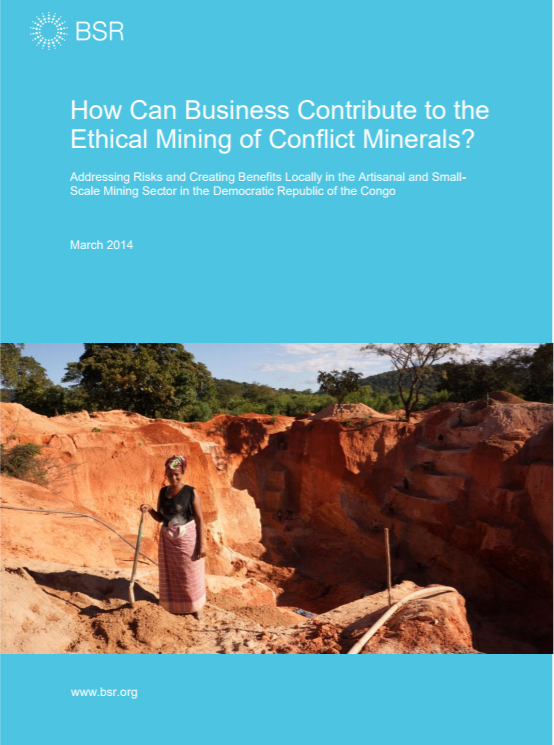 string(1566) "Resource Centre > Uncategorized > How Can Businesses Contribute to the Ethical Mining of Conflict Minerals? Addressing Risks and Creating Benefits Locally in the Artisanal and Small-Scale Mining Sector in the Democratic Republic of the Congo"
Tremendous strides have been made in recent years to raise awareness of the ethical and sustainability concerns in sourcing so-called conflict minerals (tin, tantalum, tungsten, or gold [3TG]) from the Democratic Republic of the Congo (DRC) and the African Great Lakes region. These minerals’ extraction and trade may illegally finance armed groups, conflict, and related atrocities in the region. This working paper reviews the key opportunities and challenges facing the ASM production of 3TG. It takes a new approach to current business risks related to sourcing conflict minerals from the DRC by looking beyond the practices of supply chain traceability to highlight the ways in which global businesses could begin to address and mitigate risks at the root level.